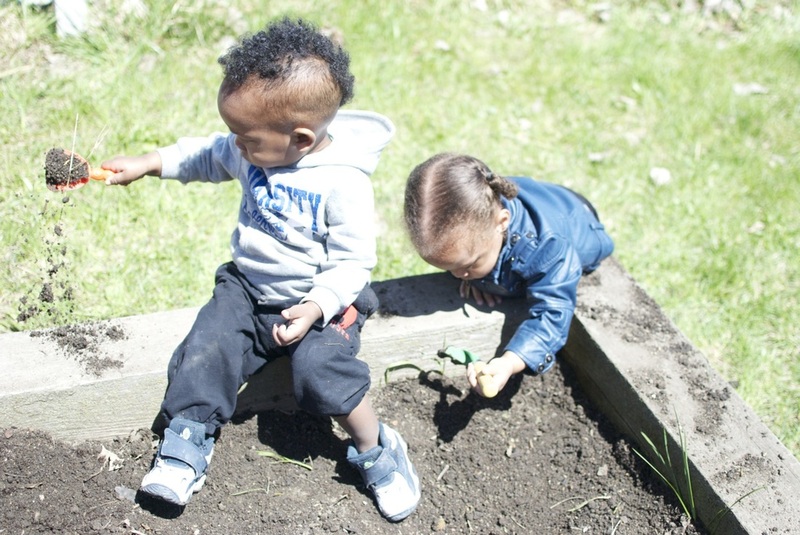 Eden Place hosted our 14th Annual Earth Day Celebration on Friday, April 25th. More than 150 students and teachers from local Hendricks Academy and Graham Elementary Schools as well as a group from TJ's Heavenly Angels Daycare Center joined us for activities such as Weeding a Garden Bed (right) with CZS volunteer Dave Becker, Predator/Prey Games with Shelly Hope, Make a Bird Feeder with CZS/Brookfield Zoo, Dance Contest with Mz. 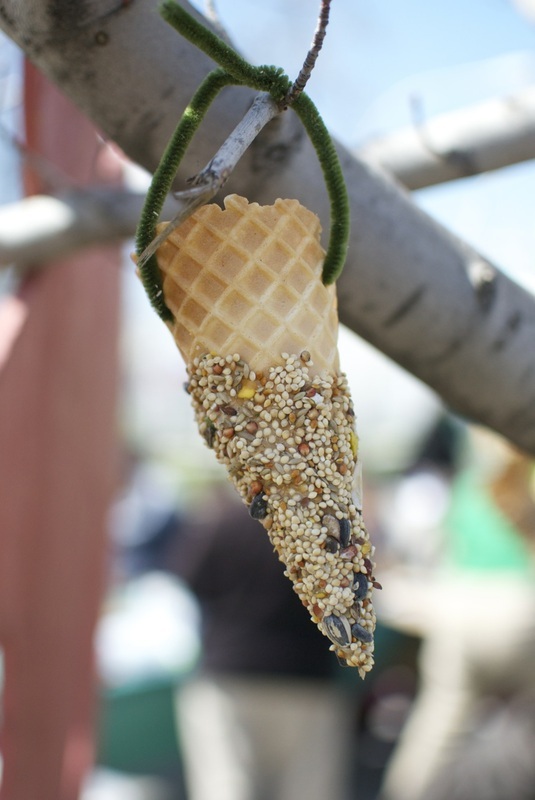 Bee and Bird Nest Investigations with Chicago Region Audubon and Wild Indigo. And of course no day at an Eden Place festival would be complete without a round in the Bounce House! A four year $1.658 million National Science Foundation grant has been awarded to the Chicago Zoological Society, which manages Brookfield Zoo, in partnership with Eden Place Nature Center, to support the development and implementation of the SCIENCES Program -- Supporting a Community's Informal Education Needs: Confidence and Empowerment in STEM (science, technology, engineer, and math). 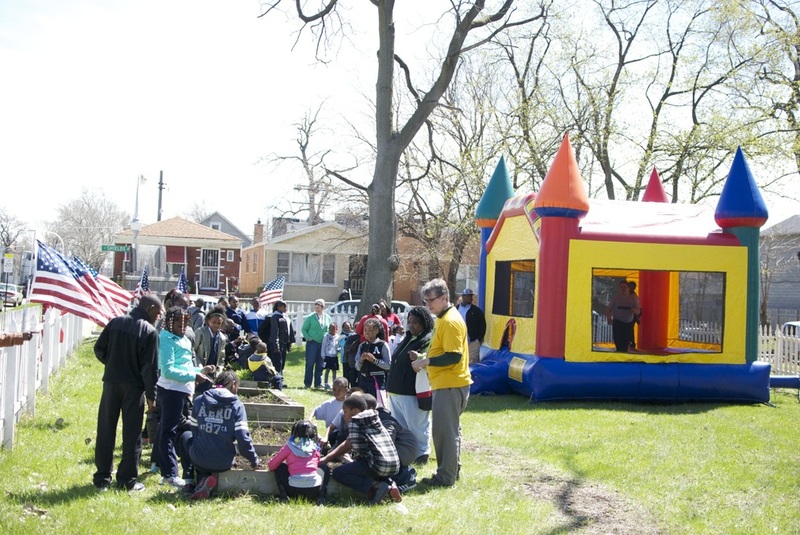 Researchers and community members will work together to develop a comprehensive and relevant program of STEM classes, workshops, and experiences for youth, adults and families in Fuller Park. Read the CZS press release or watch the press conference (below) led by Cook County Board President Toni Preckwinkle at Eden Place Nature Center. Email us or call (773) 624-8686 for more information about how to get involved with SCIENCES as a volunteer or educator, or to share ideas about STEM programs you would like to see in Fuller Park. Eden Place has partnered with Aubudon - Chicago Region, the Forest Preserves of Cook County, and U.S. 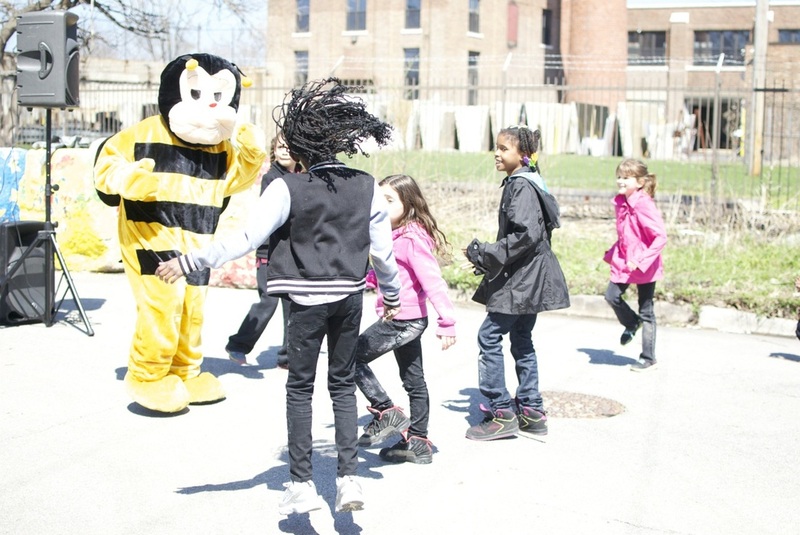 Fish and Wildlife to launch Wild Indigo Nature Explorations, a community engagement program that exposes Chicago South Siders to the wonders of nature throughout the city and in the nearby Forest Preserves. And see what other folks are saying about Wild Indigo!